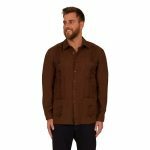 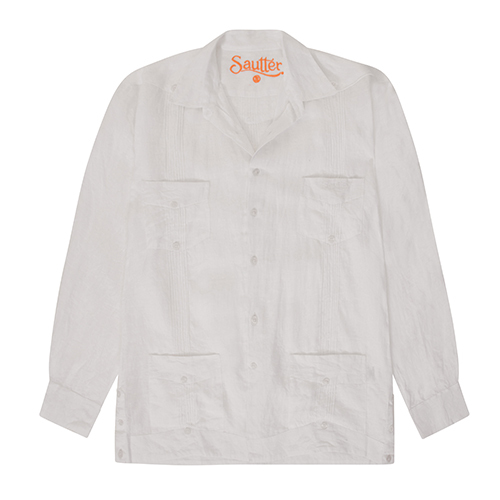 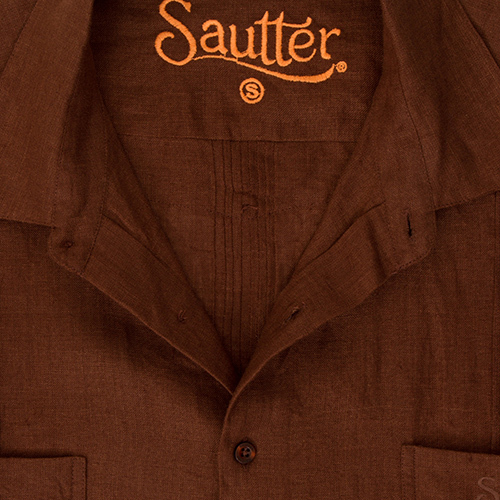 Introducing Sautter Men’s Guayabera Shirts! 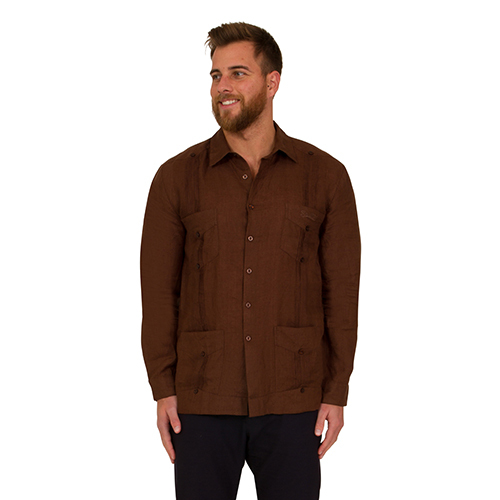 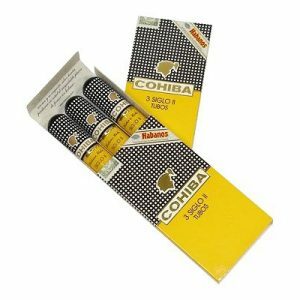 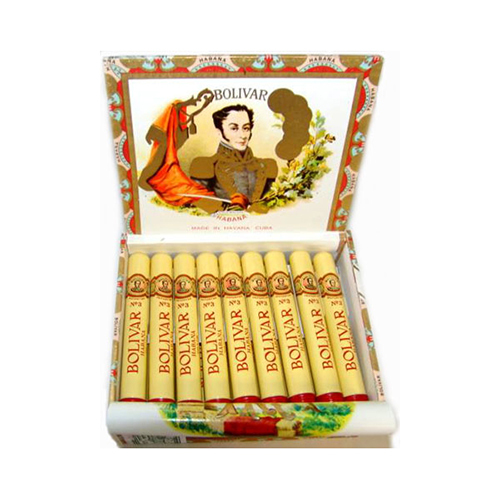 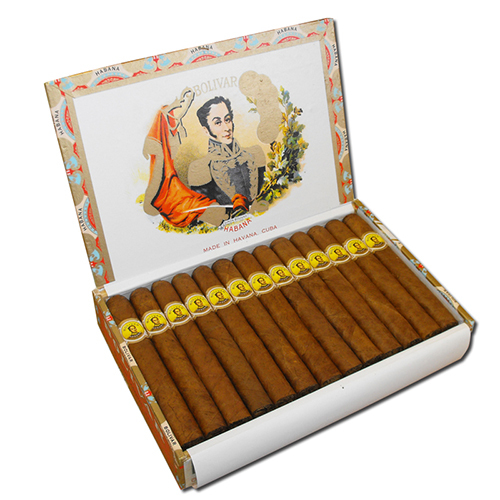 Guayaberas are traditional Cuban Shirts, crafted to optimize air flow and fruit cargo, named after the Guava fruit. 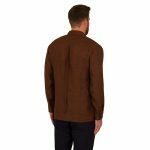 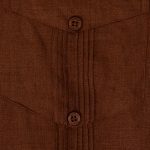 The shirt features a straight hem to be worn untucked, featuring 2 or 4 front panel pockets with decorative buttons, rows of pintucks back and front, button side slits, sleeve slits and is considered both formal and work wear. 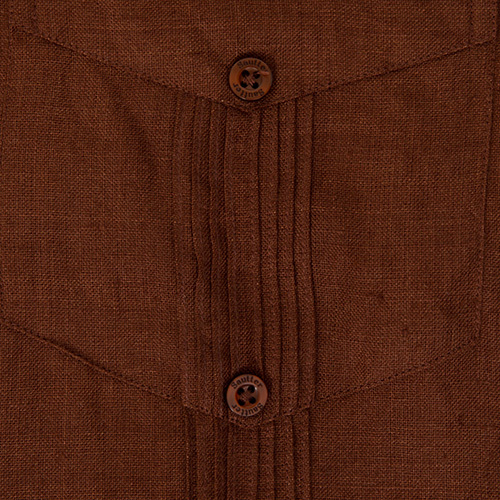 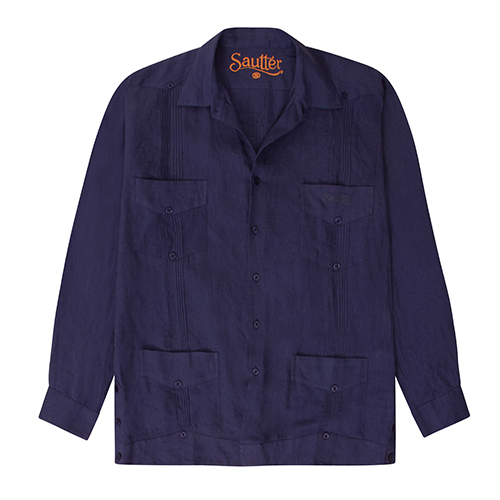 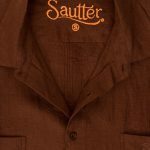 Long sleeved Sautter Guayabera Shirts are 100% linen and comes in 3 colours – Sautter Brown, Navy Blue, Ecru.